"The impact of art is not instantaneous. Art needs people who need art. There is a give and take. There's an exchange. If the society needs the sacrifice of the art and the artist, then that is going to happen." "If I do compromise, even a little bit, I will no longer be able to make the film that should be made." Before the movie A Separation by Asghar Farhadi won the Academy Award for best foreign film, Iranian cinema won fourteen major awards in the west including the Cannes, Venice and Berlin film festivals, and its directors received thirteen lifelong achievement awards just within the last twenty years. It produces an average of one hundred films per year; there are about fifteen publications on film per month between three dailies, two weeklies and ten and monthly publications. Dozens of books and scholarly works are published each year within a context in which hundreds of students attend the four public film colleges of the country. 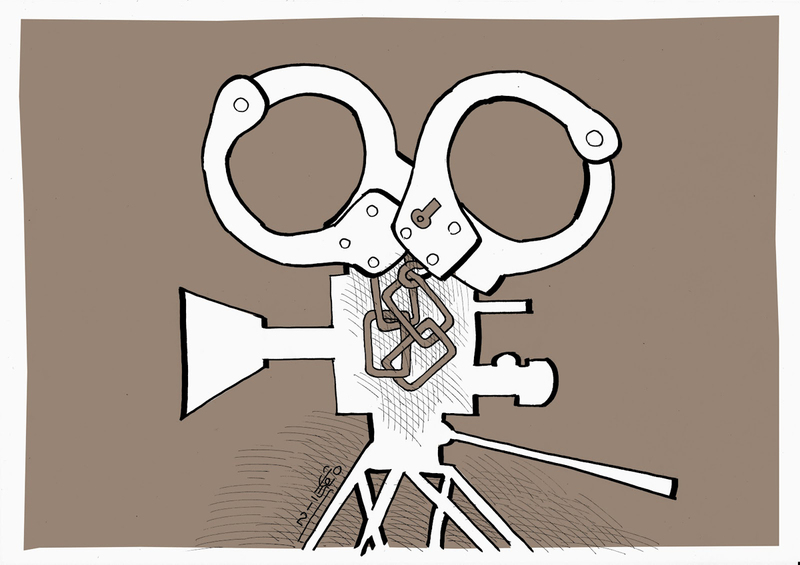 Iranian Cinema is a powerful and dynamic force that finds an even more crucial role during the current political struggle, where its foundations are shaken by censorship. Among the essential masters that have emerged in the past decades we have directors Abbas Kiarostami, Mohsen Makhmalbaf, and of course, Jafar Panahi, probably the greatest of the Iranian directors still under arrest in Iran. In the past twenty years alone one can safely say that through seminal works like The Peddler (1986) Through the Olive Trees (1994) Bread and Flower Pot (1995) The White Balloon (1995), The Mirror (1997) Taste of Cherry (1997), Close Up (2000), Iranian cinema reinvented cinema itself pushing neorealist language into its own uncharted territory: the one of the dream. Iranian directors drove film grammar beyond the “cuteness” of post Nouvelle Vague (New Wave) stylistic exercises conferring a new language to the errors of the cinematic machine. They did what great cinema does at its best: they projected our dreams letting us face our dried-out idea of the dream itself. It is within this context and only within it that a movie like A Separation has to be read. Let us praise the decent movies but not for the wrong reasons. In the process of beatification of the film, we read of "a landmark film,” (Rolling Stone), that it “established a hectic, bustling visual style,” (The Village Voice) or even more problematically, “they (the protagonists) leave a knot of ethical and philosophical questions that may make the walk home from the theater as argumentative as the film itself” (The New York Times), or “for an international community seeking to understand this enigmatic nation” (Warscapes). A Separation is a solid, intense and compact drama that tries to be about the power of the foggy area of truth (unfortunately here it is revealed and spelled out to the viewer, weakening the whole dramaturgic construction), a movie that exposes the domino effect of blame and the solitude of lives, that tries its best in opening up a political crack from within the Iranian iron curtain, it does so with a mimesis of sort and working within the given perimeters of censorship. Worthy of praise is the gentle lightness with which the director introduces the volcanic effects of tiny apparently meaningless events of everyday life. But while the movie plays with this neorealist choice, it borders dangerously on melodrama, one that is crafted so as be digested and absorbed easily. The film shapes itself as an exercise in mannerism not only of genre (neorealism) but also of previous Iranian cinema, emblematic here is the de-complexified figure of the youngest of the two schoolgirls or the choral scenes of confusion (the first an echo of Pananhi’s The Mirror, the second of Makhalbaf’s Bread and Flower Pot). The hope is that this movie with its popularity will serve as a gateway to Iranian cinema and not as its epitome. The film screams at every conjuncture of the political background of its production, it is crucial in this sense to try to understand the movie within the current political context: if the great Iranian cinema of the last three decades emerged within the context of Khatami’s reforms, this film appears to be a corollary of Ahmadinejad’s Iran where the great masters are either in jail (Panhani) or in exile (Kiarostami, Makhmalbaf) thousands of miles away, filmmakers turned into intellectuals somewhere in Paris. The real danger is that through A Separation, we as viewers shamelessly look for an easy cinematic entry into an otherwise claustrophobic political drama. Moreover the risk is that the Oscar machine ends up being a political boomerang legitimizing the Iranian censorship methods (the film passed the censor twice) through the International acclaim. The generalized praise of A Separation and its Academy Award underline a very problematic and crucial issue: the progressive inability to engage with a cinematic text that offers a true complexity instead of a prepackaged product that spoon-feeds us pieces of stereotypical assumptions that we want to be confirmed through a product embraced by the mainstream, with the consequent legitimization that comes out of it. The question is both political and sociological: to what extent we are dumbing down and losing our capacity to be challenged and changed by what we see at the movies? In other words do we enter the theatre with a set of prepackaged answers or are we ready to be changed by the questions a movie raises? True cinema shifts perceptions, create a parallel reality that should allow us to discover ourselves as other and that is exactly what the great Iranian cinema has been doing for decades. The risk is that A Separation emerges not only as what it should be, an average product of a dynamic and healthy national production of films, but as its peak, closing down the doors to a real poetic; and spoiling us into what is at best our own pre-consumed universe. This is what happens in the obscene ending with the two protagonists divided by a glass, or the opening with IDs being copied and the protagonist looking straight into the camera and its subjective function as a tired judge, unnecessary, redundant and worn out metaphors. Iranian cinema taught us that one does not need to juxtapose the same meaning twice, that the viewer can be part of the journey and the cinematic journey is in itself the destination…but then again Iranian cinema now is jailed. Flavio Rizzo has a Ph.D in Comparative Literature from the City University of New York and an Italian Laurea in Cinema Studies. He is also a filmmaker. His latest work was a documentary on the Coca Wars in Bolivia.